Get the most out of ViewRanger by using detailed topographic maps. Once downloaded, these maps are viewable on up to four of your devices, without needing a mobile data connection. Detailed mapping from both Statens Kartverk and Geodata AS covering the whole of Sweden. Split into 18 parts, so you can download the parts you need, as and when you need them. The total size is 5GB. 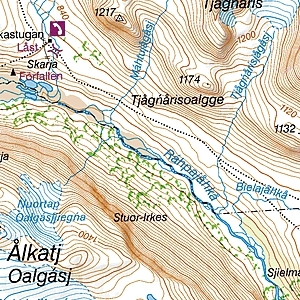 Swedish topographic maps are sourced from Lantmäteriet (National Land Survey of Sweden).